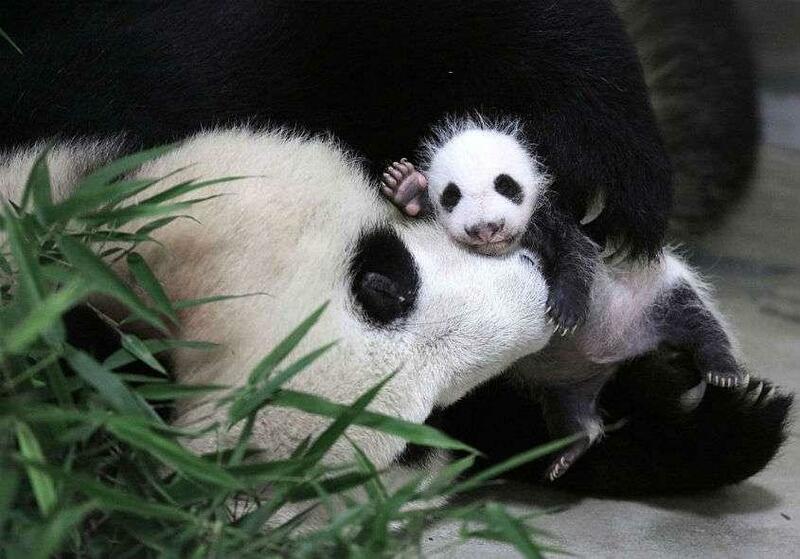 1/6 The giant panda cub being anything but giant with her mother, Guo-Guo. 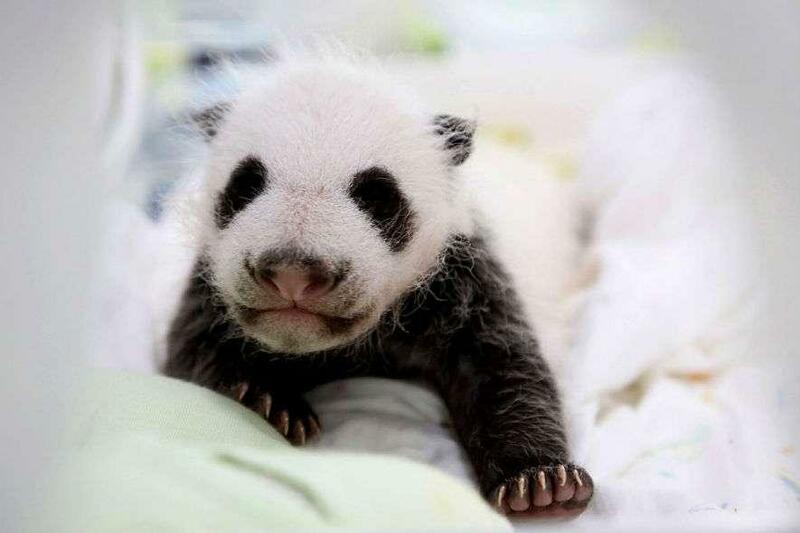 2/6 The giant panda cub doing her best impression of a raccoon. The photographer who took this photo melted seconds later from the cuteness. RIP. 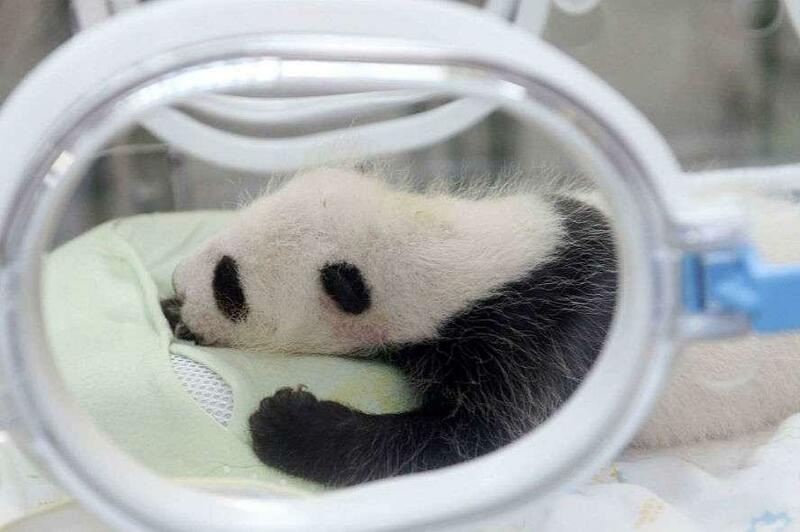 3/6 Seeing a giant panda cub asleep gives us the warm fuzzies. To view next image, click on the next button. 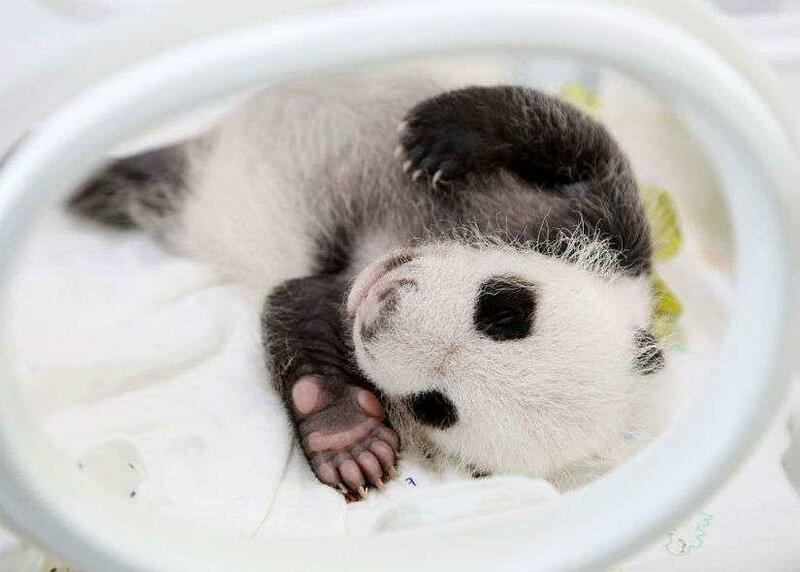 4/6 The giant panda cub is placed in an incubator for fear her cuteness might escape and end the world. 5/6 If they don't take their hands off my baby there's going to be big trouble in little China. Pandas are already critically endangered. What\'s worse is that while they\'re dying out in the wild, efforts to breed them in captivity have been largely futile. 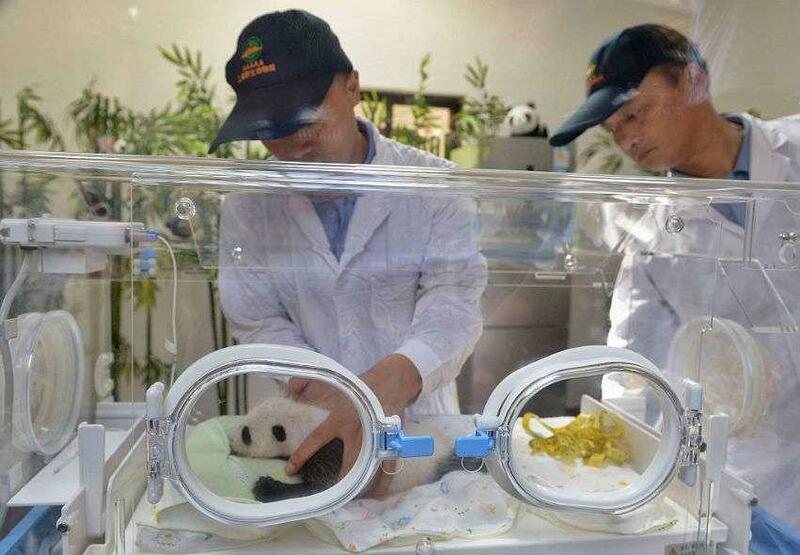 Which is why, when 20-year-old giant panda Guo-Guo gave birth last month, it was a really big deal. Exactly one month on, on 9 August, the cub passed a medical examination with flying colors. From entering this world as a near-naked pink ball, she now weighs just shy of a kilo and a half and black and white fur, much to the delight and relief of zookeepers at the Shanghai Wildlife Park. While the panda cub still hasn\'t been named, the park is asking the public for suggestions. Its choice, barring Boaty McBoatface-like shenanigans, will be announced on 9 September. While the cub is absolutely healthy, zoo officials are taking no chances with exposing her to visitors just yet. 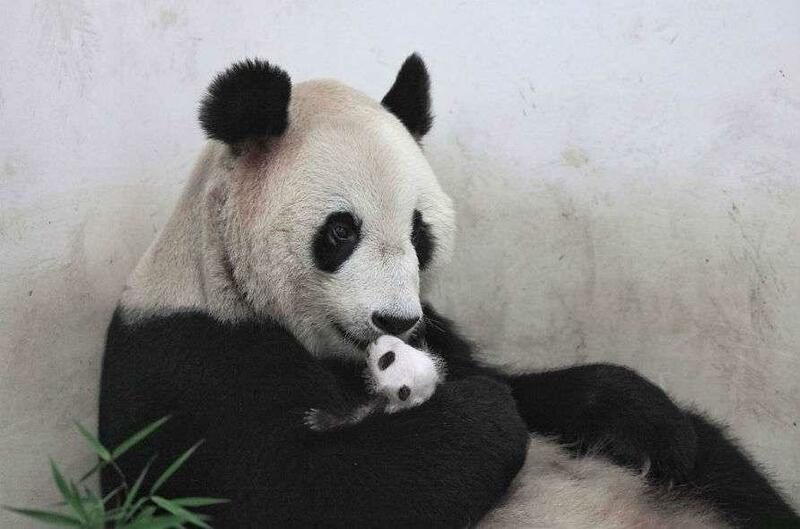 "We need to monitor the situation before the panda cub can meet visitors because Guo Guo is very protective of her, and we need to make sure she is emotionally ready to allow her cub to meet people," said Min Yingguo, director of the park\'s Animal Management Department. Still, for those who can\'t that long for a glimpse of the cub\'s cuteness, there\'s a video camera recording her every move, allowing viewers to melt from the cuteness overload, in the comfort of their homes. But, for those of you who can\'t view that or don\'t like the video quality, here are some aww-inducing pictures of the giant panda cub.